Applying advanced technology into real estate, Sunshine Group is "owning the game"
Their forward thinking leader has made Sunshine Group a dominant leader in the real estate sector. Though it started off as a latecomer in the real estate sector, Sunshine Group has quickly proven itself in Vietnam’s real estate market. From 2016 -2017, the domestic real estate sector witnessed Sunshine Group’s spectacular launch. As part of Revolution 4.0, Sunshine Group has created a series of smart home projects and the smart living ecosystem. Smart homes equipped with utilities that used to only be available in Hollywood movies are now a reality. In September 2016, Sunshine Group shocked Hanoi’s real estate market when it launched four major projects at prime locations in the heart of the city. The total investment was around VND8 trillion ($350 million) and had 3,000 luxury apartments. Sunshine Palace (Hoang Mai), Sunshine Garden (Hai Ba Trung), Sunshine Riverside (Nhat Tan - West Lakes), and the Sunshine Center (16 Pham Hung) are the projects that were highly appreciated by the real estate sector as well as their clients in Vietnam, South Korean, and Japan. Soon after that in 2017, Sunshine Group unexpectedly launched Sunshine City Project which is one of the most luxurious projects in the west side of West Lake with nearly 100 villas and 6 gold-plated apartment towers. 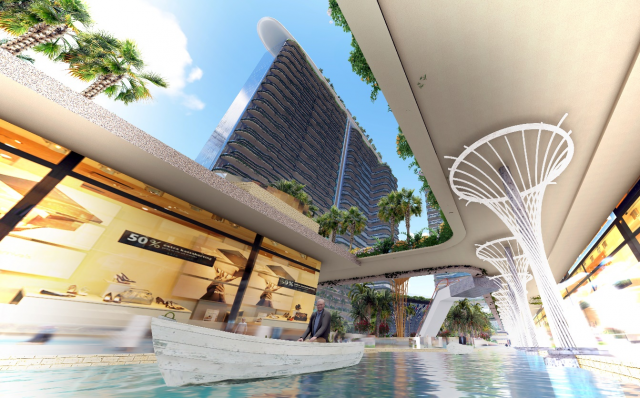 They also announced that they would build Sunshine Boulevard Project, the highest Tower in Thanh Xuan district making it become one of the three hot spots that formed Hanoi's "golden triangle of real estate." Also in 2017, Sunshine Group expanded its land and invested in new lands in Ho Chi Minh City with a multifunctional complex in Thu Thiem urban area. Along with this project, Sunshine Group also acquired a gold ground on Nguyen Huu Tho street (District 7, HCMC) to prepare for another high-end urban complex. At the end of 2017, the coastal city of Nha Trang seemed to be exploding when "the young rich man," Sunshine Group, officially announced that the company would be joining the race for property in resort destinations with an international - scale resort project estimated to be worth nearly VND10 trillion ($438 million). Sunshine Group's resort project in Nha Trang will have entertainment services such as an aquarium and a harbor. In the future, Sunshine Group will be launching about 10 new projects in many provinces across the country including Hoa Binh, Phu Quoc, and Thanh Hoa. The real estate market is comprised of mostly veteran investors and emerging corporations. What made Sunshine Group reach the top in such a short time? According to real estate professionals the company’s success is because of the forward thinking mindset of the young chairman of Sunshine Group, Do Anh Tuan. After asking himself why Vietnamese have to use foreign services when they can do it themselves, the young leader found the right answer and made a move before the industrial revolution. He brought Revolution 4.0 into the real estate field. 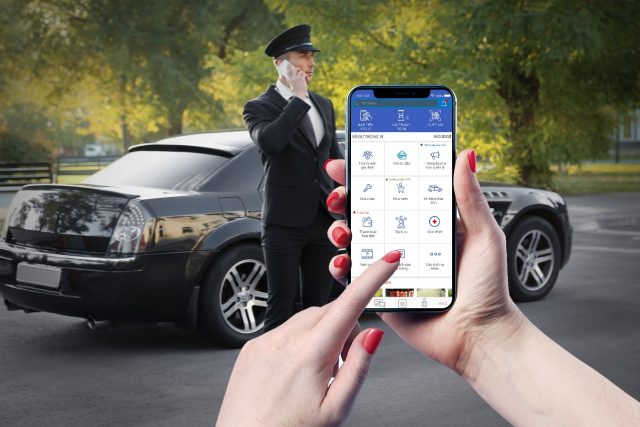 Mr. Tuan proudly said that the Sunshine ecosystem has an application called Sunshine Cab, which operates similarly to Uber and Grab using a luxury car system to serve its residents. "We have Sunshine Online Payment, Smart Home systems, e-commerce Sunshine Mart, and Sunshine Online service," he added. "These applications can be created by other businesses too but it's important to know whether their leaders want to go along with it." An application called the Sunshine Cab functions like Uber and Grab using a luxury car system to serve the residents. According to the Sunshine Group’s leader, by using applications, the corporation wants to provide a convenient and smart life that includes transportation, shopping and relaxing services. For example, before leaving the office, you can simply use the smartphone to make commands to your lovely home so the heater and the air-conditioning can be automatically turned on. The curtains can unfold itself and the sound system can automatically be turned on to play soothing music. The system will even automatically locate and save the nearest parking space for when you arrive. "The application of technological breakthroughs in real estate has been done by other firms but most of them lease their systems from other companies, and sometimes even buy them from foreign businesses,” Mr. Tuan said. However, at Sunshine Group, we pride ourselves upon our own research on software systems, applications, and even hardware-microchips." Real estate projects on the market today often only serve basic housing needs, but Sunshine Group also owns the supermarket chain Sunshine Mart and a chain of coffee shops called S'cafe which are all located on-site. The important thing is that all payments are non-cash, and residents can use the convenient Pay Sunshine when shopping or paying the bills. On March 22, 2018, the first S'cafe, located within the Project Sunshine Palace at 13 Linh Nam Street, Hoang Mai District, Hanoi was opened. It promises to be a popular place for coffee lovers. The upcoming premiere of Sunshine Mart Project Sunshine Palace will be held in early May 2018 and will be an important milestone for Sunshine Group when they officially enter the realm of e-commerce. Education is also a field that Sunshine Group can focus on and develop. The Sunshine School system started with Sunshine Maple Bear Kindergarten and their first enrollments will be held in May 2018. This is a humanistic move showing that Sunshine can be a diversified investment corporation that has good intentions for the community and the future generations. Sunshine Group with its methodical and strategic moves combined with a firm technological foundation, will definitely continue "owning the game" in the Revolution 4.0 era, when everything is connected to the internet. People can look forward to seeing their next projects such as the Smart Home and their luxury resorts in Nha Trang, Hoa Binh, and Phu Quoc.